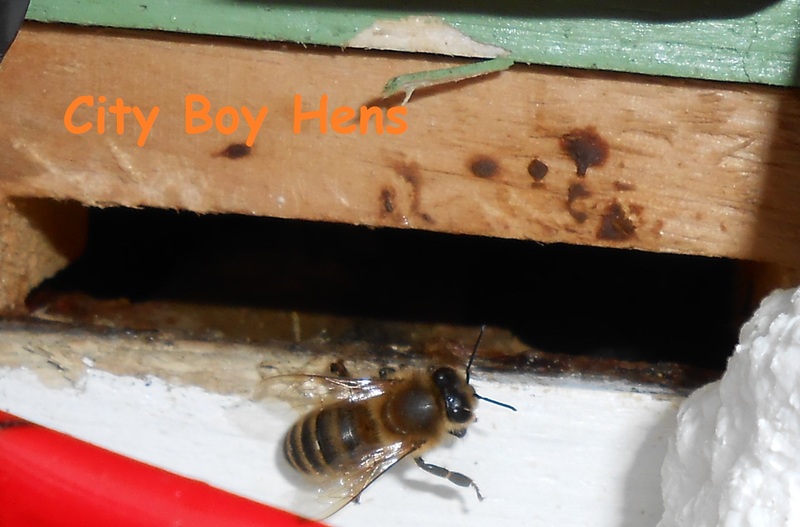 City Boy Hens….. & Honey??? 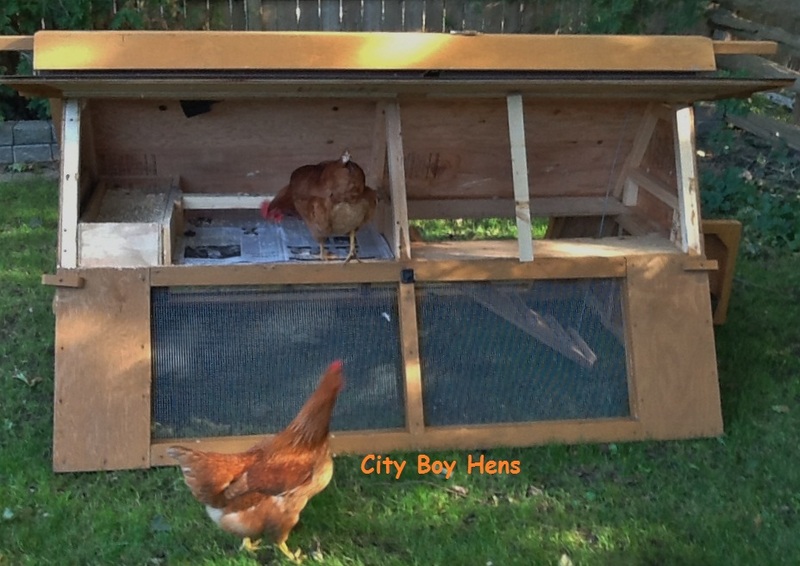 City Boy Hens & Honey ….It’s gotta nice ring to it. Over the last few months, I’ve been thinking a lot about honey. It all started with a bottle of honey that ended up in our house because my daughter wanted it on her morning pancakes. I then began using it as a sweetener in my tea. And then…..I started thinking. As my wife will testify, thinking & me can become a dangerous obsessive combination which generally leads to something new. Well…..I’m happy to report that this city boy is movin’ into the honey business. It might be a bit premature, but I want to tell you how I got to this point. The desire to make honey (well.. I’m not really makin’ it..the bees will) is no different from my desire to make lots of other foods from yesteryear. Like all the other stuff, it has the right combination of interest, technique and loads of knowledge that fits right up my alley. 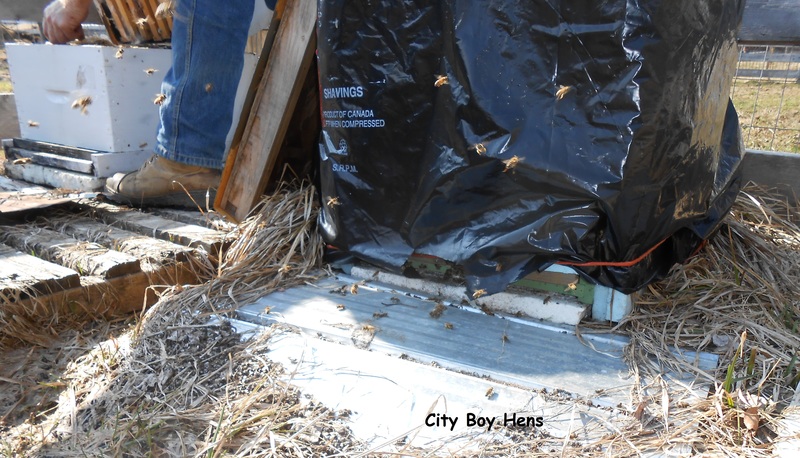 In my initial investigation, I thought that maybe I could co-op into one of the various hives that are maintained by a local honey bee association in our city. That idea hit the skids when I found out that there is a long waiting list and I’d have to do a lot of volunteer hours for a little bit of honey. Not to mention that the majority of those hours would have to be given in the summer when I want to be at the cottage. At first, I thought that was the end of City Boy Honey, but then I started thinking in broader terms that could potentially fit into my desire to harvest this golden nectar. What about if I partnered with someone else like a local farmer who was willing to share the responsibilities with me? Then I shot that one down when I realized that I’d have to leave my summer sanctuary in order to harvest the honey in late summer and I’d never get the chance to see how the bees were progressing through the summer. Then…..I remembered Dan! 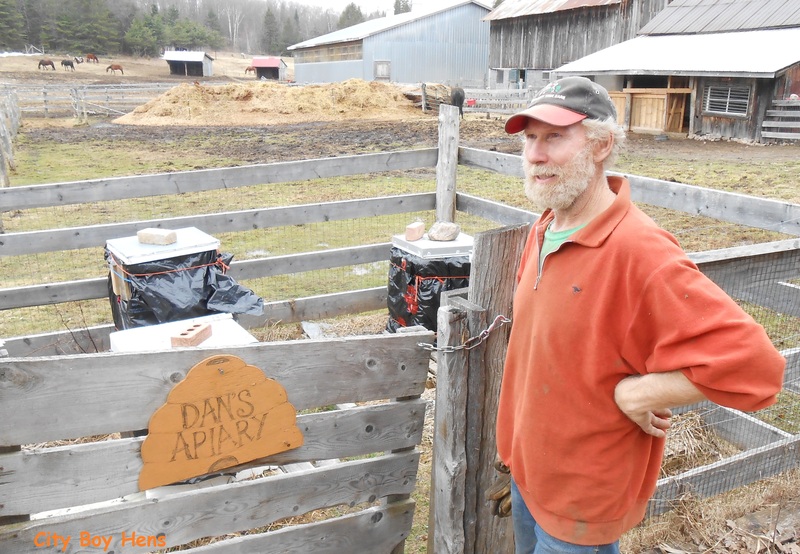 Dan is a local farmer near our cottage who sells antiques and boards horses. I have known him for around 8 years and I have lovingly restored some of the pieces that I have bought from him over these years. But best of all….DAN KEEPS BEES!!!!! I called him about 3 seconds after I remembered this and asked him if he would be willing to share a hive with me. I am delighted to say that Dan is also excited to join in this venture with me. For him, it’s really an opportunity to share his knowledge with a Newby. As I have said before, you meet great people in your discoveries who generally want to share their interests. Well, off I went up to the cottage for the weekend and arranged to meet with Dan on Saturday. This Spring is really late up North. 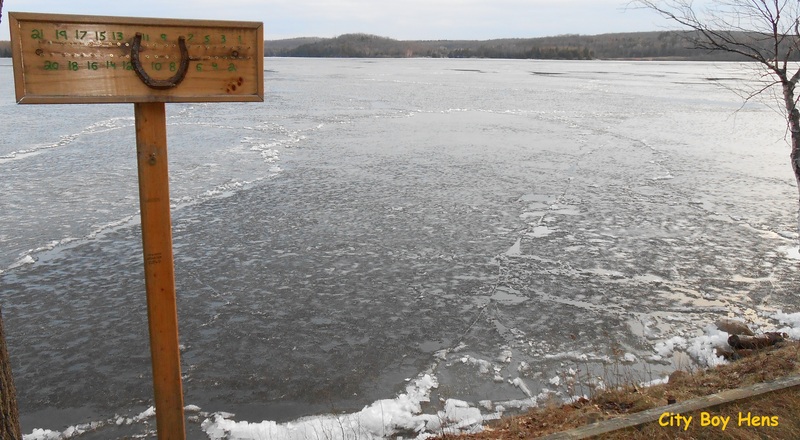 In fact, the ice just went out of our lake on Saturday. As a result, Dan’s hives are still wrapped up from the Winter and it wasn’t until the sun came out that the bees began pouring out of one of the hives, which is ALWAYS a great sign after a long winter. Unfortunately, 2 of the hives did not survive the Winter. From what I have read, this seems to be the norm for this year. As I close this post, I am sipping on a hot cup of tea that is sweetened with Dan’s honey. If all goes well, I’ll be tasting some of my own honey by the end of August. In the mean time, I’ll keep you up to date with what I am learning in the wonderful world of the apiary. Well…..we made it through a year. The hens have officially been at City Boy Hens for the last 13 months. For me…it’s a big deal. Not because the hens are 1 year old, but rather, I or something else, haven’t managed to kill them in that time. In the last 12 months, they have survived cat and owl attacks, an attempted break in by a raccoon, one weasel close call at the cottage and two red tail hawks that continue to circle the backyard at home looking for a take-out chicken dinner! There are still no signs of lice or mites on the hens and our dog, Stanley, has yet to develop a taste for raw chicken. The transition to the cottage in the summer was pretty easy except for some stinky poop on the way up and some aggravated hens who wouldn’t stop squawking when we stopped for a burger. As I have said before, they love meat! As Spring continues to tease us with the expectation of warmer and dryer days, I look forward to returning to the cottage in the months to come and watching the hens free ranging down at the beach. In the mean time, the neighbours at home continue to get the freshest of eggs when there’s surplus and my friend Ted continues to call me the Chicken Man. I guess it’s like anything in life. You reap what you sow. With that said, wouldn’t it be easier to just get some eggs, salami, cookies, pickles or whatever at the grocery store? From a time perspective, the answer is yes. But, I’ve learned a lot in my trade-off with time. Satisfaction, pride in accomplishments, successes with small failures, and the opportunity to share with family and friends have made every moment worth while. I’ve also met a lot of great people all the way and it is great getting to know you all. My blog has been up and running for the last few months and I am amazed at the interest. It has gone to places in the world that I will never reach. 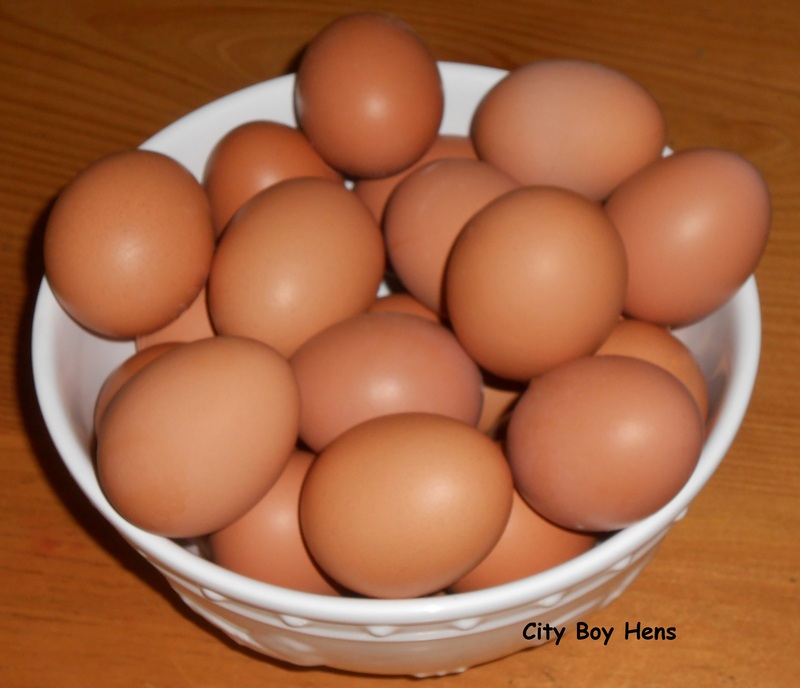 Thanks to all for spending some of your valuable time at City Boy Hens. As Spring unfolds, I look forward to sharing the progression of my vegetable garden at the cottage and some canning posts on making jams and preserving asparagus, peaches, pears, olives, peppers and more as we move into summer. 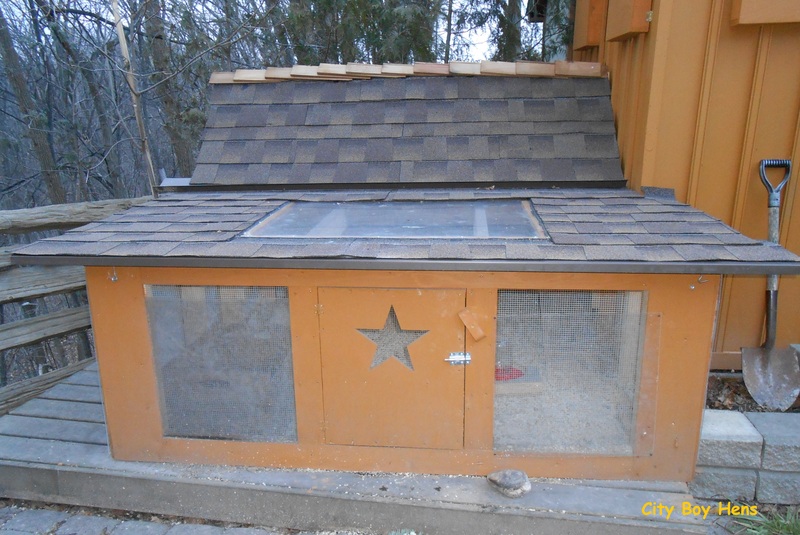 So….the hens are one year old. Though they all started laying at different times, I think we’ve received around 650 eggs and counting since Honda got the ball rolling last July! In the end, we’ve all survived. In fact, I believe we thrived! My only regret…….the odd Saturday sleep in to 8 o’clock would have been great! It was definitely worth the wait and effort. A big thank you to Don for all his patience in my emails during the last month. As you fellow bloggers have discovered, we meet great people on our road to success. Don, you were a great source of knowledge to me and I am grateful for your help. I hope you take me up on the offer of a dozen fresh eggs from the “girls”. 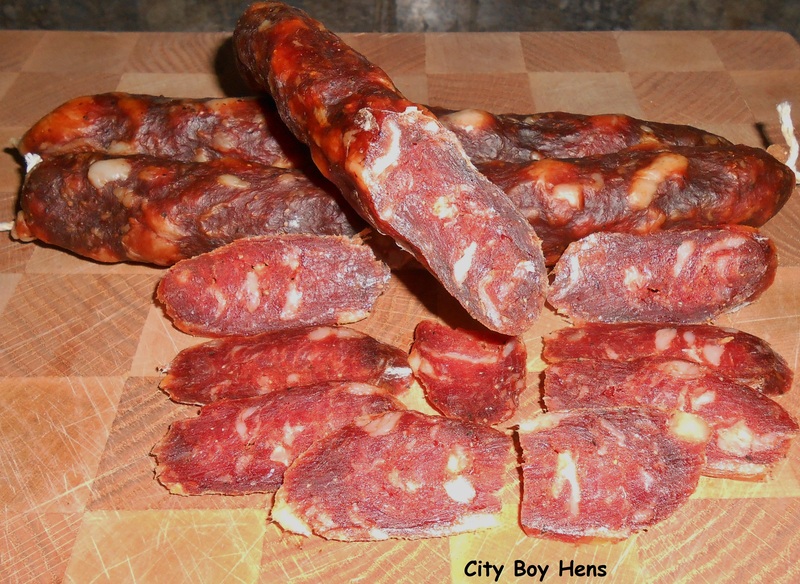 If you would like a detailed explanation for making City Boy Salami click HERE. 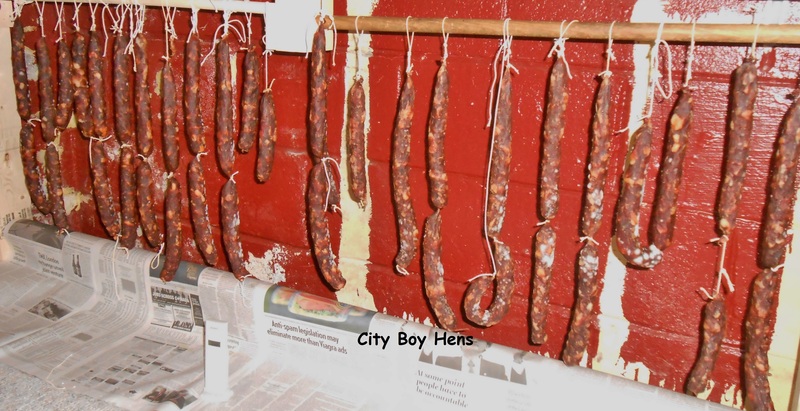 Well….I can now tick off salami from my list of foods I want to make! 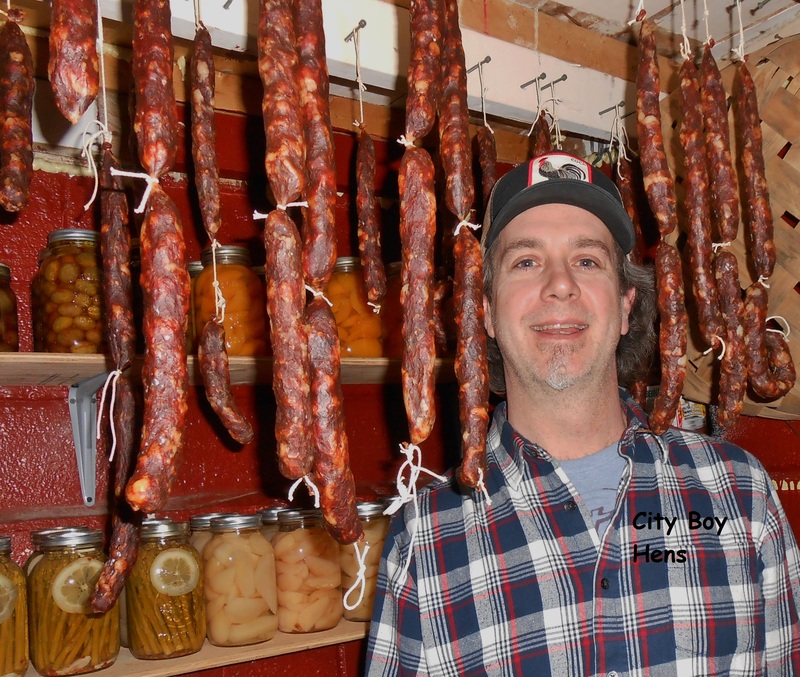 Maybe next year, we’ll try our hands at capicola or prosciutto. Until then, I look forward to sharing these delicious treats with family and friends, over a glass of wine with some cheese and homemade olives. Why don’t you give it a try and let me know how you made out with this great tradition from our past.